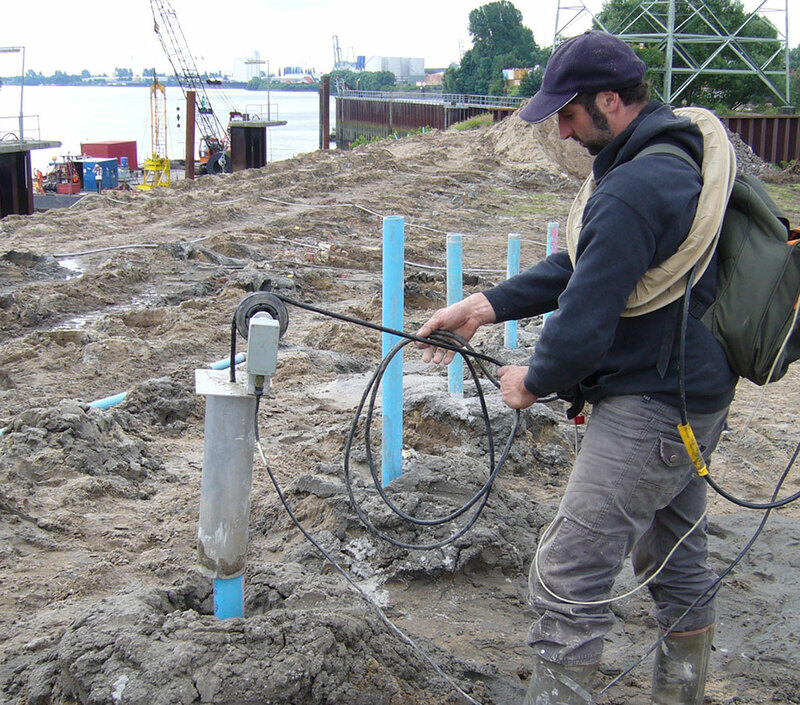 SeaTerra GmbH has extensive experience in the field of UXO surveys on land. From military training grounds to developing inner-city areas, from surveys on tidal flats to searching for pipelines in the desert sand, we can look back on several successfully completed projects. The wide range of sensor systems available to us, the experience of our employees, and our ability to react flexibly to new challenges are the hallmarks of our work. 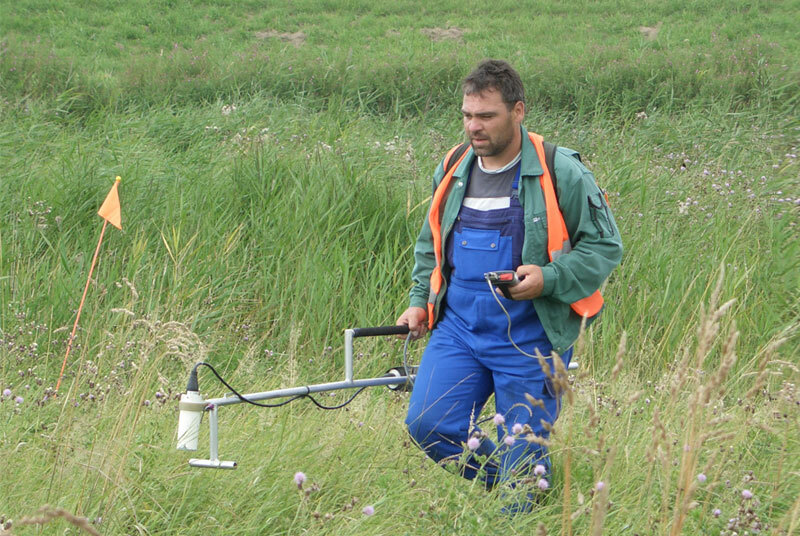 Magnetometers and electromagnetic processes are generally used to locate ferromagnetic and conductive objects on land. 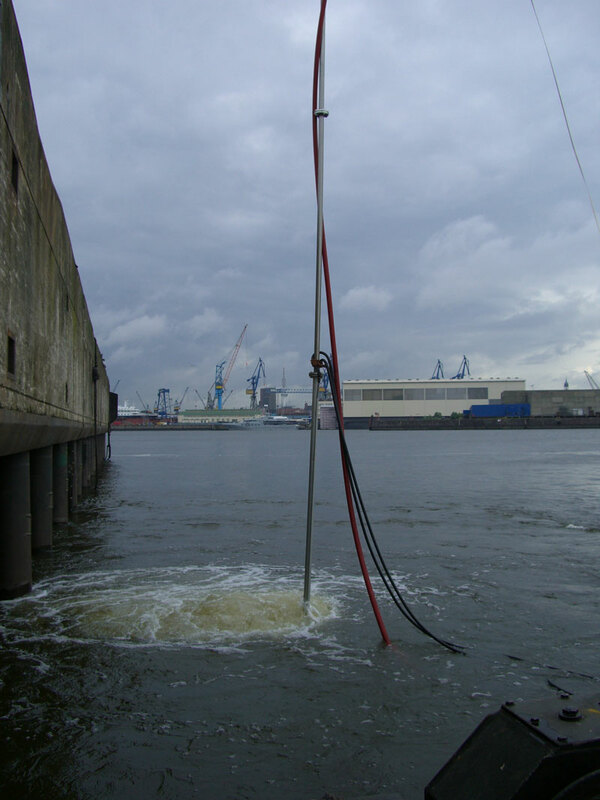 In the absence of strong magnetic interferences in the investigated area, we rely on our tried and tested magnetic processes for data collection, which SeaTerra has used for several years in the port of Hamburg with great success. The electromagnetic system is used wherever external influences such as buildings, reinforced concrete, sheet piling, tracks or slag bricks make it impossible to collect data using magnetic systems. The TFG-CPT system is used in real-time surveys with minimum seismic impact and minimal ground penetration. A lance with the combined CPT-TFG measuring tip is hydraulically pressed into the ground. Continuously recording and charting changes in the magnetic field and the soil properties provides a high degree of safety during the exploration work. The radar, as an additional tool for determining the position and size of obstacles that have already been detected, stands in good stead for extensive recording even in the field of drill hole surveys. 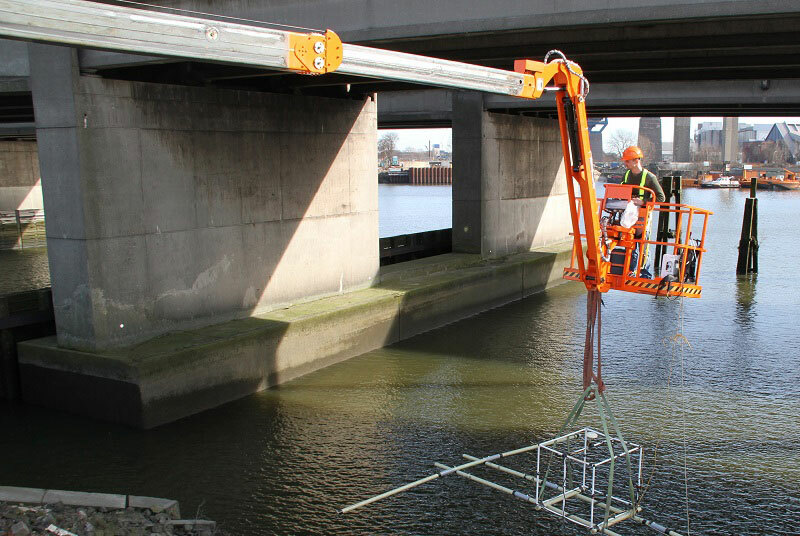 In several instances, ground and drill hole radars could be used to avoid expensive excavation of suspected sites through the process of elimination. The SeaTerra 3-axis drill hole sensor is a high-precision measuring system, which measures the magnetic vectors in the X, Y and Z directions using two 3-axis fluxgate sensors. Our measuring system offers the advantage of high dynamics of the 3-axis magnetometers and uncomplicated handling of a compact gradiometer in a single system. In addition to drill hole surveys, we also offer our customers drilling services on land, in water and also in the track area. 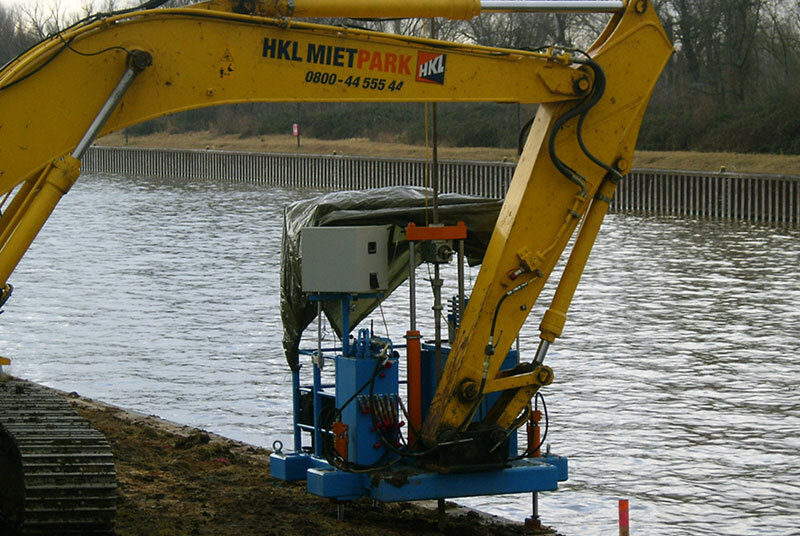 Wash drilling in tide-dependent shallow water areas and also in heavily used port areas provides an efficient option of deep sounding. To this end, SeaTerra uses an aluminium lance that is inserted in the seabed. The sensor integrated in the lance logs the magnetic interferences which are recorded when the lance is pulled out continuously from the sediment.